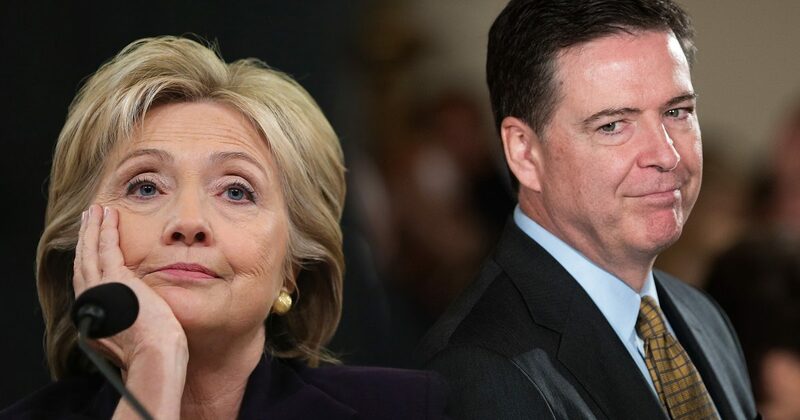 Why would it surprise anyone that disgraced former FBI Director and swamp snake James Comey has a secret Twitter account? This is the man who found no wrong-doing when Hillary Clinton hid a private unauthorized email server in her basement bathroom, then deleted 33,000 emails of her own accord. DC creates paranoia in people, and rightfully so. Everybody is out to get everybody else. And all those “everybodies” sock it to the taxpayers every chance they get. As for Comey’s secret Twitter, it’s understandable why the man lies low. In light of recent allegations around his preemptive exoneration of Hillary Clinton, the man may be enjoying his last bout with freedom. The recently unlocked account has long been suspected to be Comey’s. Earlier this year, Ashley Feinberg of Gizmodo suspected that Reinhold Niebuhr was actually Comey after intense investigating (or social media stalking). And Paul Elie of The New Yorker backed up Feinberg’s reporting shortly after. The new Tweet from “Niebuhr” sparked a ton of intrigue on Twitter — namely from Benjamin Wittes, a longtime friend of Comey’s. In case you’re wondering about Neibuhr, and Comey’s choice of the man as his Twitter handle, here’s part of the story. In 2007, presidential candidate Barack Obama told columnist David Brooks that Reinhold Niebuhr was one of his “favorite philosophers.” “I love him,” Obama said. Keep in mind that Neibuhr was not a philosopher but a theologian, which should have tipped off the Left to what an idiot Obama was, but I digress. The point is that Comey noted that Obama loves Neibuhr. He then chose a “tip off” Twitter name to alert the proper people to his presence. In other words, Niebuhr became the catchphrase of the day for the intelligentsia. And for the Left, Niebuhr represented the duality of man. And boy this duality couldn’t become more clear with Obama. Obama’s enigmatic (I can say this…I’m black) approach to life in general belies the nature of his being. Were it not for being enigmatic, Obama would not be president. Recall in one of his first campaign speeches he discussed his “funny name”, and how it would conjure up the boogeyman for many Americans. Ironically, he was right. What he failed to admit is that he was indeed the boogeyman. In further irony, while Conservatives decry the Obama years, we must simultaneously celebrate them. Inversely, while Leftists loved Obama’s election, they must lament the results. You can’t get more Niebuhresque than that.